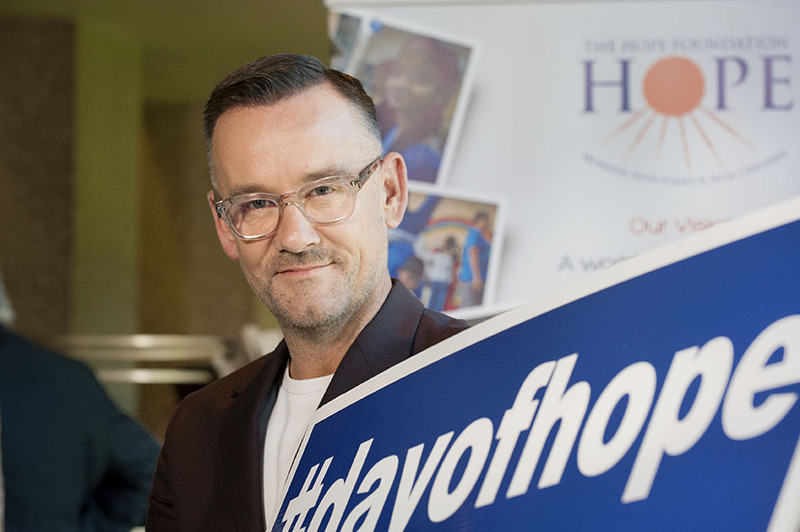 2018 Rose of Tralee Kirsten Mate Maher, inspirational campaigner Vicky Phelan and TV presenter Brendan Courtney took part in the launch of The National Day of HOPE for The Hope Foundation. 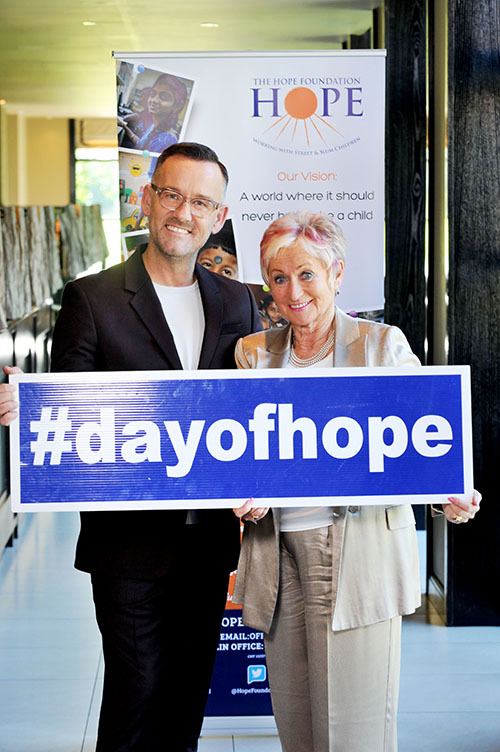 The Annual National Day of HOPE, kindly supported by Butlers Chocolate, takes place across the country on Thursday October 11th. Now in its 7th year, the Day of HOPE raises much needed funds for the street and slum children of Kolkata, India. HOPE is encouraging people to buy, sell and eat HOPE Butlers Chocolate Truffle bars and make a difference to a child’s life. 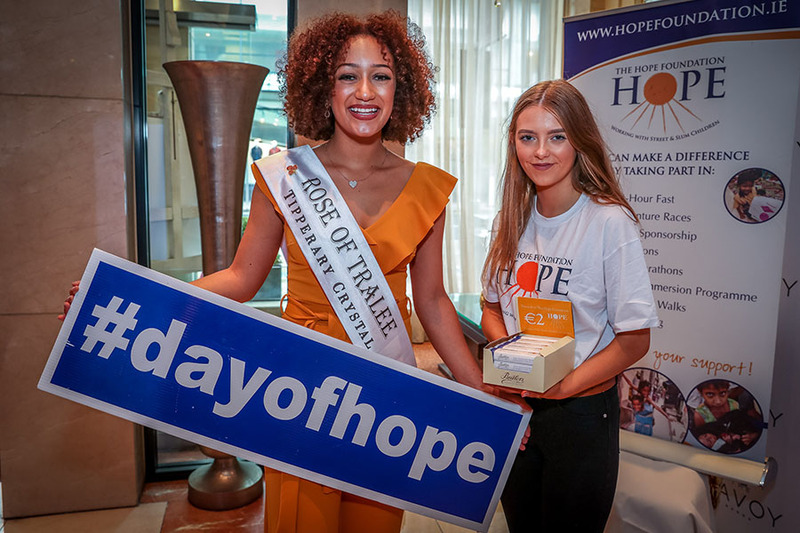 Transition Year Students who are taking part in the HOPE Immersion Programme, as well as volunteers from all over Ireland will be out in force selling Butlers Chocolate bars on the Day of HOPE. The Hope Foundation are working with young people all over Ireland through their Transition Year Immersion Programme, which is the brainchild of HOPE founder and Hon. Director Maureen Forrest. In a world where young people can watch the news channels and often feel helpless, this programme gives them the chance to bring about real change, it empowers them in a way that stays with them for the rest of their lives. Since the programme began in 2003, over 3000 students have fundraised for HOPE and then travelled out to Kolkata to see first-hand how their money is utilised on the ground. Each bar costs €2 and proceeds raised will go directly to the children in Kolkata. The money will be spent on healthcare in the HOPE hospital and education through HOPE’s 40 coaching centres as well as towards other vital services provided for the children who are forced to live on the streets and in the slums. 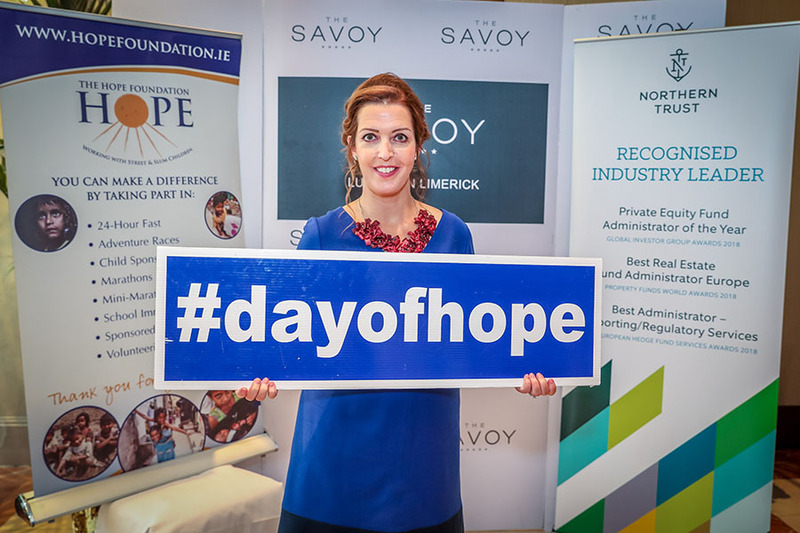 Vicky Phelan, & Kirsten Mate Maher both recently attended the HOPE Annual Limerick lunch and were on hand to support the Day of Hope, which falls on International Day of the Girl Child. Brendan Courtney hosted the Annual Lunch at The Maryborough Hotel and Spa in Cork. International Day of the girl child aims to increase awareness of gender inequality faced by girls worldwide. This inequality includes areas such as access to education, nutrition, legal rights, medical care, and protection from discrimination, violence against women and unfree child marriage. In 2012, India was deemed one of the ‘most dangerous place to be born a girl’ by the United Nations and despite the country’s economy ranking first in the world for growth, India remains ranked in the top 10 countries that are dangerous for females. Gender imbalance is embedded within Indian society; the results of which are not only detrimental for the development of girls and women, but are too often fatal. 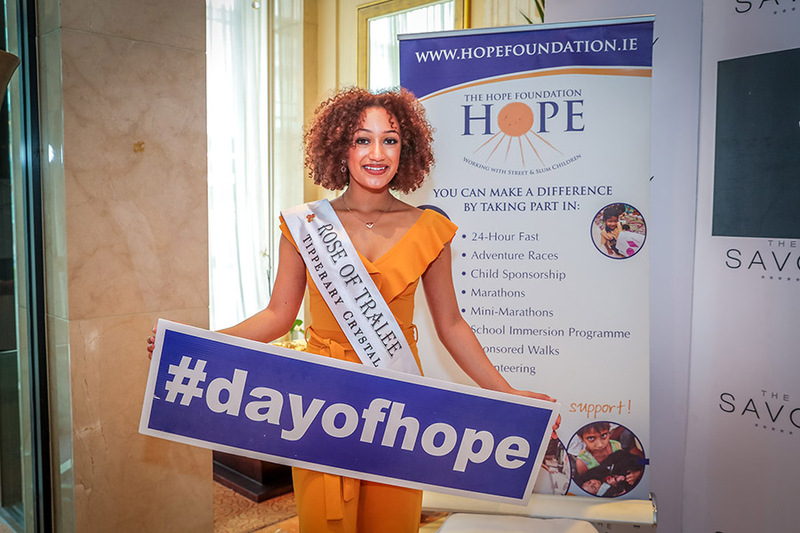 Speaking about the Day of HOPE, International Rose of Tralee 2018, Waterford Rose Kirsten Mate Maher, who hopes to pursue a career in computer programming, said “I am delighted to continue the tradition of the Rose Festival’s support of The Hope Foundation. The Day of Hope on October 11th is a great opportunity for us to buy a bar of luxury Butlers chocolate for just two euro, surprise someone special, give it as a little gift, knowing at the same time you are supporting the hundreds of volunteers who fundraise for this great organisation”. Kirsten will travel to Kolkata with The Hope Foundation next month. To volunteer to sell the HOPE Butlers Chocolate Bars on Thursday October 11th please contact our Dublin office on dublin@hopefoundation.ie / 01 8716930 our Cork office on office@hopefoundation.ie / 021 4292990 or our Mid-West office on charlotte@hopefoundation.ie / 087 3666937.